Medical billing and coding is a career with a host of benefits, from the peace of mind of knowing the field is growing and demand for the position is on the rise, to the satisfaction of taking on a profession where you are genuinely helping people. You even have the opportunity to work from home after you have established yourself as skilled biller and coder. So if you are looking for a position with excellent career advancement opportunities, great earning potential and the option to become qualified and start your new career in just a few months, then medical billing and coding is an excellent choice. It’s a rewarding career – While many people associate those who practice medicine with the act of saving patients lives, the truth is that healthcare providers are part of a team effort, with every member of staff helping every patient, regardless of their actual role. As a medical biller and coder you’ll be key to keeping medical costs down, reducing medical mistakes and ensuring there’s a free flow of information about patients’ medical histories, which can be a vital part of their diagnosis and treatment. The knowledge that you spend every day helping people makes medical billing and coding a very rewarding career choice. There’s a growing demand for the role – As the need for healthcare grows, medical billers and coders are increasingly in demand, with the Bureau for Labour Statistics estimating that an additional 30,000 medical billing and coding jobs will be created over the next ten years. This equates to a 15% growth in the medical billing and coding sector, making job growth “much faster than average” by comparison with other sectors. You’ll have a wide variety of potential employers – As a medical biller and coder, your skills will be needed by a wide variety of employers, including clinics, nursing homes, hospitals, outpatient support centers, and medical laboratories. This range of potential employers has created a dynamic job market with plenty of opportunities. You can quickly become qualified – One of the best parts of taking up a new career in medical billing and coding is that you can make that transition quickly. Most medical billing and coding courses take less than a year to complete. After that, you can take the exam offered by the National Healthcareer Association (NHA) called the CBCS, the Certified Billing and Coding Specialist to become certified. Once your exam is done, you’ll be fully qualified and ready to step into a growing job market. The salary is competitive – According to the United States Department of Labor, Bureau of Labor Statistics, a medical billing and coding graduate earns, on average, $38,040 a year, with more than half of working medical billers and coders earning far more. 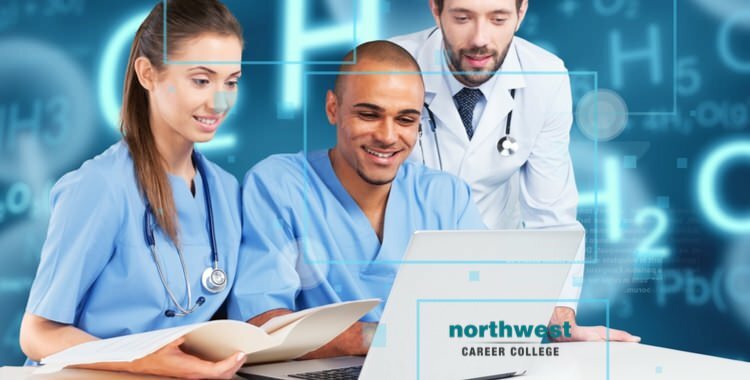 As the premier Medical Billing and Coding School in Las Vegas, Northwest Career College employs established, seasoned instructors to teach you every aspect of medical billing and coding. Our student-focussed approach puts you first and we offer online and on-campus workshops to accommodate your work and family schedule.